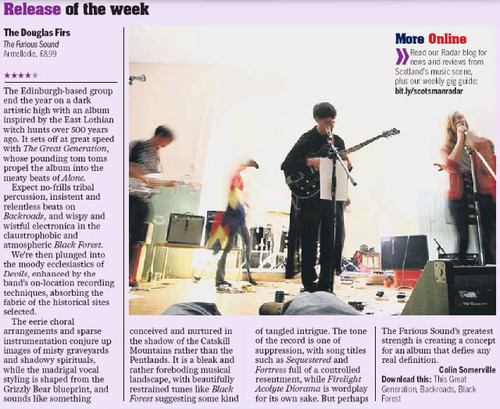 The Douglas Firs, The Furious Sound is the album of the week in the Scotland On Sunday today. Awesome. "The Edinburgh-based group end the year on a dark artistic high"
If you cannae read the small print, it’s online here. The Furious Sound is out now!